Signing a contractual agreement to stick with a carrier for two years so you can get a decent phone without breaking the bank is a downright sham. 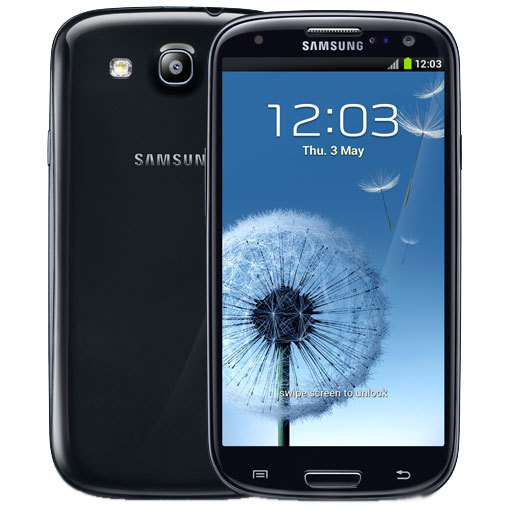 Thus, many users are bypassing that system altogether by choosing carrier-unlocked phones like the Nexus 4. Of course, the N4 is on hiatus at the moment, so that's kind of out of the question. Don't fret, though – your dreams of a contract-free life aren't lost. Other options are available. 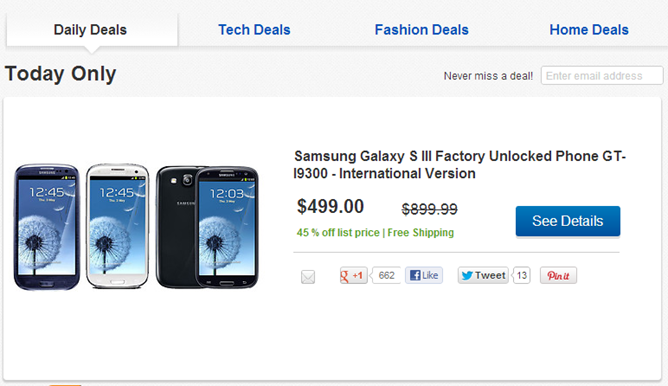 Like the international unlocked Galaxy S III on eBay Daily Deals, for example. For today only, you can grab this top-notch beast of a phone for $500 – no contract, no obligation. Just a good phone without an absurd carrier tether. Since this is an international version, it should run without issue on AT&T and T-Mobile, as well as pay-as-you-go carriers like Straight Talk. To make this deal even more appealing, you can choose which color you want: Pebble Blue, Marble White, or even the illusive Sapphire Black. Tempting, no? Hit the link to buy.